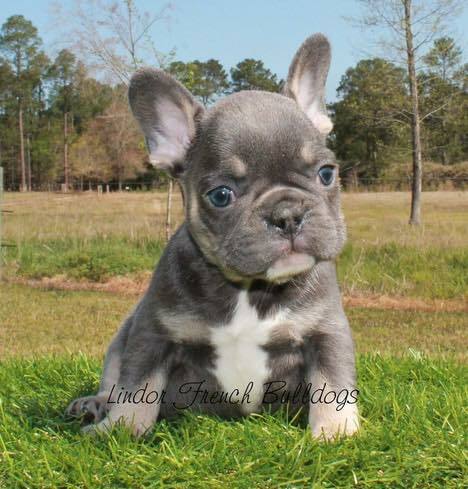 Lindor French Bulldogs is passionate about sharing our show-quality purebred French Bulldogs with loving owners around the world. We are a family-based breeding operation that devotes much of our time, energy, and finances into our franchise in order to produce high-quality puppies. We have worked diligently throughout the years and are now proud owners of some of the most sought after pedigrees in the Frenchie world. We are an American Kennel Club (AKC) member and state-licensed facility. We have had excellent compliance records with both organizations for over 13 years. Our indoor facility is well-maintained and fully heated and cooled for the comfort of our workers, as well as our dogs. We have a separate nursery area for the pregnant mothers and newborns. There is even a full-time assistant available 6 days a week to help us keep everything in top condition. Our puppies are carefully planned to create specific DNA results. We make sure to match parents together that complement one another when it comes to their build and structure. With artificial breeding, C-sections, and constant monitoring during the first two weeks of the puppies’ lives, the process can be very time-consuming. Although raising French Bulldogs is not an easy task, it’s always rewarding. We have puppies placed in just about every state in the U.S., along with pups that are now living in Hungary, Germany, China, Australia, and the U.K. We do not ship puppies via airline cargo. However, we do work with two airline attendants who make deliveries for us on their off days. Our dogs ride in the cabin area, usually in the laps of the ladies, and are hand-delivered to our customers. This service is offered to most all international airports for the cost of $500. We are proud to offer references from past customers who have visited our home to pick up their puppies, along with those who have chosen the hand delivery service. All of our dogs are vet checked twice before being transported to their new homes. We even offer a one-year health guarantee on life-threatening genetic disorders. Please see the puppy contract page for more information. You can also feel free to check out the assortment of colors and color combinations we have available and are able to produce, as well as our current puppies up for adoption. If you do not see what you are looking for, we can add you to our waiting list. Contact us at 904.574.7644 for any additional questions, and check back regularly for updated litters!